Listing these animals as threatened underscores what we have been saying: the entire Arctic sea ice ecosystem is under threat – not just these animals, but whole food webs are threatened by the shrinkage of summer sea ice. The National Oceanic and Atmospheric Administration (NOAA) today proposed listing ringed and bearded seals as threatened under the Endangered Species Act. 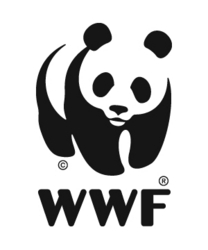 The proposed listing, which cites increasing threats to the species due to declining sea ice and reduced snow cover, highlights the serious impact climate change is already having on wildlife and reinforces the urgency of the global climate talks currently underway in Cancun, said officials with World Wildlife Fund. Arctic summer sea ice has melted to record low levels in recent years, resulting in significant impacts on wildlife and prompting the listing of polar bears as threatened in 2008. In its recommendation today, NOAA proposed listing four subspecies of ringed seals, found in the Arctic Basin and the North Atlantic, and two distinct population segments of bearded seals in the Pacific Ocean. These species are heavily dependent on ice for feeding and resting and ringed seals also require snow cover to provide shelter to newborn pups. The listing proposal includes a 60 day public comment. Geoff York, WWF arctic species expert, is available for interviews. He can be reached at 202-446-7396. For more information, please contact Clive Tesar, head of communications for WWF’s Global Arctic Program, at 613-232-2535 or 613-883-3110 (Mobile).